Navigating these sometimes conflicting demands requires strategic guidance based on a detailed knowledge of the legislative framework and a shrewd understanding of commercial opportunities. Our team of specialist utilities solicitors is highly experienced across a wide range of utilities matters. 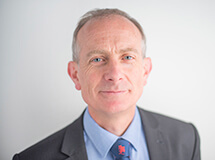 Our operational property division, headed by Simon Ellis, focuses on the enhancement and development of networks and obtaining rights by way of options, licences and easements, as well as leasehold and freehold acquisitions and redundant asset disposal. The team also acts to defend Lands Tribunal claims where utility functions are claimed to have blighted development opportunities. In addition, we have the experience and expertise to take on specialist legal action, such as challenging free water supplies. And our specialist transport unit provides advice on all transport issues, including comprehensive review and audit services. Our lawyers have knowledge of the UK’s gas, electricity and water utilities. We understand the social responsibilities and the commercial challenges that today’s utilities need to embrace if they are to flourish and succeed. With our assistance you can take full advantage of the emerging opportunities in this diverse sector.